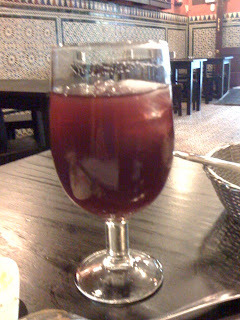 When I lived in sevilla, we drank tinto de veranos all the time. They are essentially a wine cooler - red wine with Fanta. Today I had one with my tapas dinner... Served by a bartender that looks like Javier Bardem. Que bueno, no? !